Hi everyone and happy New Year! Sorry to have been absent so long. In October I was unexpectedly recruited into a part-time job (nonprofit development, my old stomping grounds) and have been careful to preserve my writing time when I’m not at work. In the meantime, I’ve still been cooking and crafting, though a little more slowly perhaps. 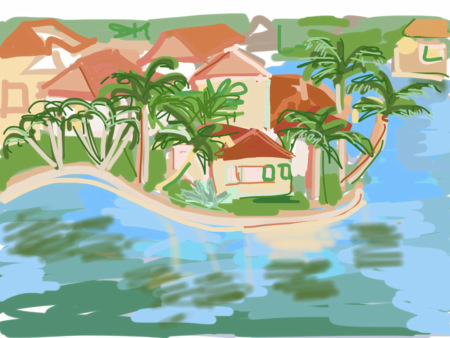 I recently had the opportunity to go on a family trip to St. Maarten and Anguilla and wanted to share some iPad paintings I created while there. I had more time to paint on St. Maarten, so most of them (except the first one) are from there. I’m not sure what took me so long, but I finally bit the bullet and got some of my iPad art professionally printed with archival inks and artist-grade paper. I used Picture Salon, and I am so thrilled with the results. The colors are so vibrant, so true to the originals. I used bright white paper and printed them as big as Picture Salon recommended (9 x 12 with a border). For more about the process of making these digital paintings, click here. For posts about my artwork in general, click here. 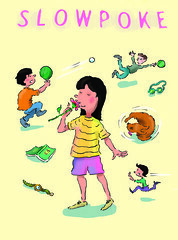 In other news, had a couple of recent critiques on a work in progress (novel) that really gave me a shot in the arm. So great to get some helpful feedback. This writing thing can be too solitary at times. Currently reading Erik Larson’s Thunderstruck. What about you? I have a little more to share about our trip to France, but for now, here’s a little artwork. On a recent flight from Boston to Charlotte, I took a break from reading and started fiddling around with an app (Adobe Ideas), drawing on some of my photographs. If you follow me on Instagram, you may have seen some of these before, both pre and post-drawing. Fun, eh? Have a favorite? Just finished watching the BBC adaptation of Dickens’ Bleak House. Really enjoyed it. Currently reading Call the Midwife by Jennifer Worth (it’s the memoir upon which the show is based). Now watching Bletchley Circle. I seem to be in a BBC/ British kind of mood. For more posts about my artwork and others’, click here. I did these while spending a week with the family at Lake Winnepesaukee in July. I used my Sensu brush/ stylist (except on the last one, where I used my fingers—you can totally tell) with the Artrage app on my iPad. I loved watching the water and sky at different times of day and in different weather. The colors changed so dramatically in a short space of time. 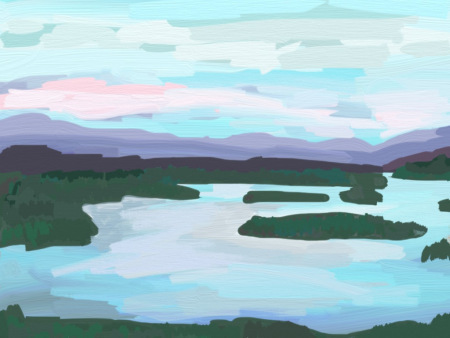 For more of my iPad artwork, click here, here, and here. 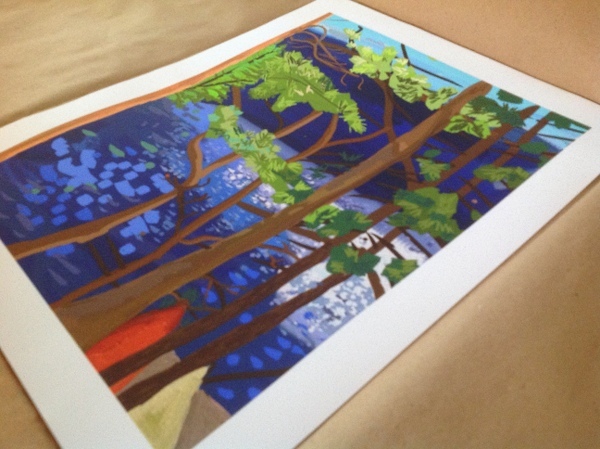 Anybody have any experience with making fine prints of your digital work? I’d love to know what worked for you. Here’s my view of Truro, Massachusetts, where we visited old friends. I used the ArtRage app with my Sensu Brush on my iPad. I seem to “paint” mostly when I’m on vacation. Love Cape Cod! More digital artwork to come. For some of my previous iPad paintings, click here and here. 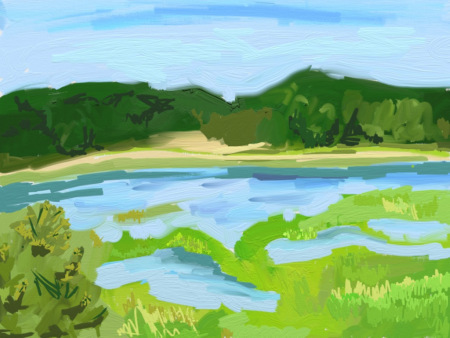 In my previous post, “Painting by App Part I,” I talked about using Brushes and Sketchbook Pro and showed samples of my work made with these apps. The next two apps I tried were Procreate and Artrage, this time with a stylus called a Sensu Brush. The Sensu brush was a gift (thanks, in-laws!) and I have to say, drawing on the iPad is a way better experience with it. Finger painting on a device is totally fun and may suit your needs, but if you want more control, definitely get a quality stylus. The stylus itself isn’t magical, but it’s much more like drawing with a pen, and, in the case of the Sensu, with a brush. The Sensu has a rubberish tip on one side and a brush on the other. As far as I can tell the bristles themselves don’t really seem different from those on a regular watercolor brush, but I haven’t done an iPad comparison. Have you? 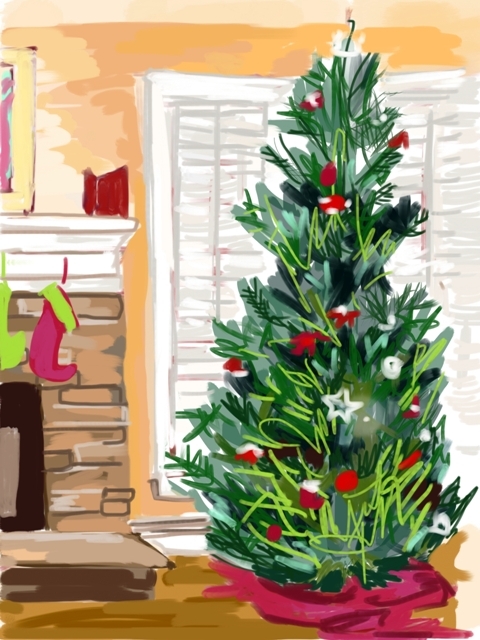 The Christmas tree image above was made using Procreate. What I love about Procreate is the ability to change not only colors, tools, and stroke width but also the paint load and tons of variations of brush stroke. Changing the “load” and brush type means you can control how much color you want on your brush and the shape your brush makes, plus the amount of water that’s mixed with your paint. These items are key to making your digital image look painterly. 1) Artrage not only lets you paint with virtual oils or acrylics, it lets you squirt them out on the screen and mix them with your brush (or other tools). This feature alone makes the pricetag ($6.99) worth it. 2) You can upload a reference photo and pin it in the corner of your screen while you’re painting. So cool. 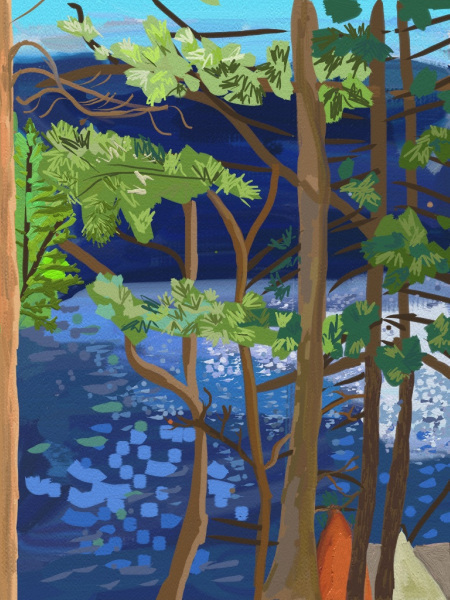 3) You can zoom in and out of your painting so you can work on detail areas or see the big picture quickly. 4) You can choose from among many paper and canvas options in any color you like. 5) Another favorite feature! You can change the drying time to your paint. This doesn’t sound like much, but it allows you to either mix colors on the canvas or, in the case of oils, pretend several days have passed and it’s “dry” enough to paint on top of your underpainting. Sweet. 6) You can add “water” or “solvent” (depending on your paint type) to thin it down. Like the drying time, this feature allows you to control how your current paint color will interact with the colors you’ve already painted. 7) There’s a wide variety of choices of how your brush carries the paint. I’m personally a fan of the dry brush options. One wish for Artrage, and it’s a small one, is that you could use the edge of the palette knife for scraping off color (currently I can only figure how to use the flat of the knife for mixing). The images below were done at Cedar Cliff Lake in North Carolina. The first is an earlier version of the second image. The last is somewhat unfinished but I figured I’d go ahead and share. All of the apps I tried have their strong points, and in the end, you have to decide what you really want out of an art app. Is it a quick sketching tool for you, or are you interested in creating more intricate pieces? 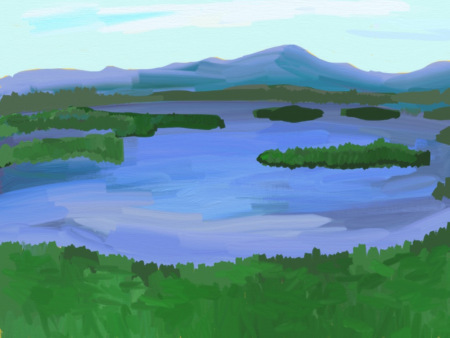 Do you want to approximate watercolors, pen and ink, or oils? 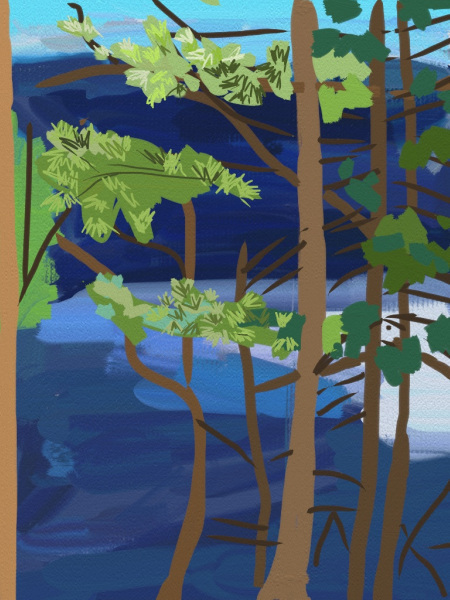 You can make beautiful images with all of them, but for more painterly effects, I would go for Procreate or Artrage, and Artrage is definitely the choice for anyone wanting an acrylic or oil paint look. I’d also like to try Auryn Ink, a watercolor app, but recent reviews of it (regarding compatbility with the new iPad) were pretty poor, so I’m hoping they’ll update soon. Thanks for hanging with me through this lengthy and fairly technical post. Back to regularish programming soon! p.s. On an unrelated note, I just heard an interview with Lindi Ortega and was totally mesmerized by her music. Try this tune here. She’s kind of a modern Johnny Cash/ Dolly Parton mashup though maybe more on the rockabilly side than strict country. She’s playing at the Evening Muse tonight in Charlotte. Wish I could go! Let me know if you do. 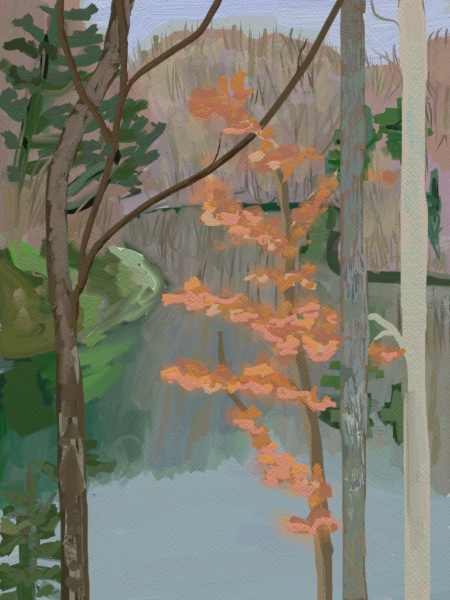 Ever since seeing David Hockney’s iPad art at the Louisiana Museum outside Copenhagen, I’d been wanting to try it myself. 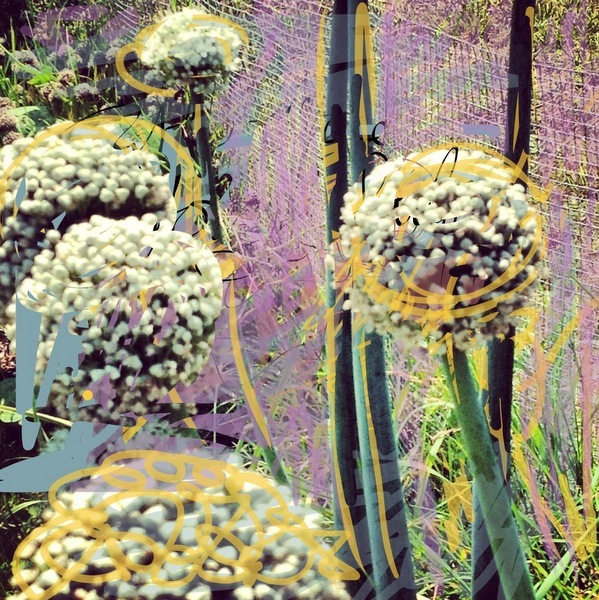 Now that I have an iPad, I read this article about painting/ drawing apps and jumped right in. The good thing is many of the apps are free or have a free trial version, so it’s a low-risk leap. Yes, my feet are gorgeous! I know, I know. You don’t have to tell me. 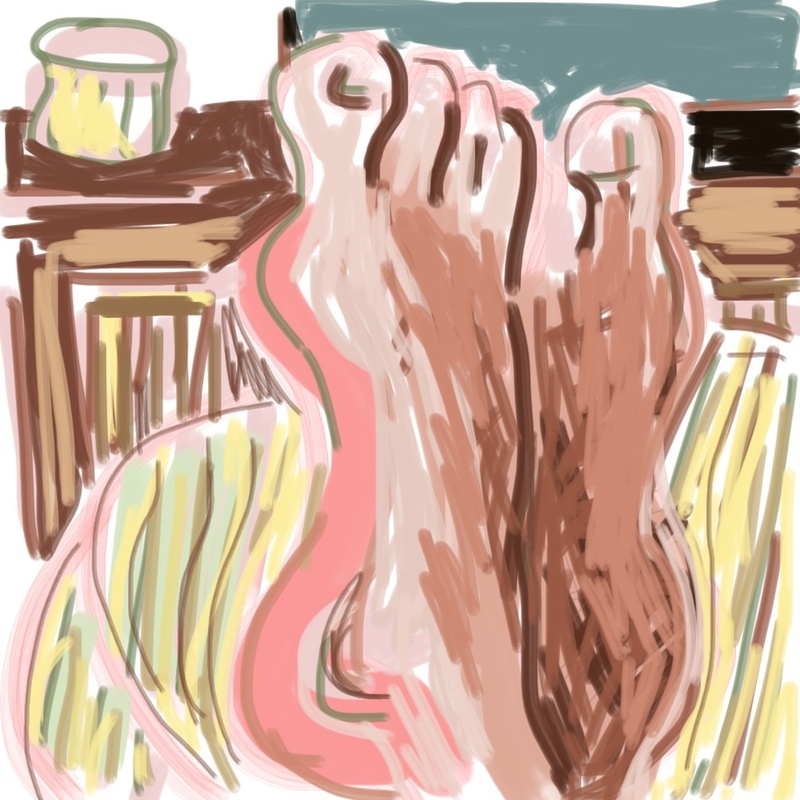 I drew this with my fingers using Brushes (the same app David Hockney uses). 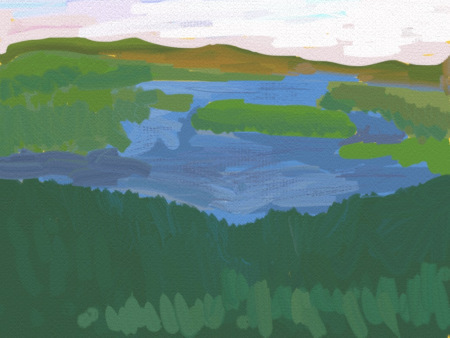 Brushes is wonderfully simple and great for quick impressions.The picture is nothing special, but on the iPad itself, my kids love being able to watch the video of how it came together. I couldn’t get that feature to transfer here, but if you know how to do it, give me a shout. 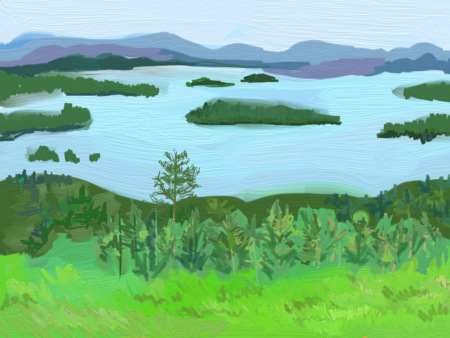 Here’s a funny article about trying to become David Hockney via Brushes. You can guess how that turned out. 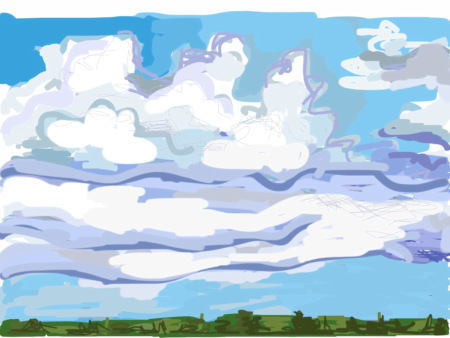 Below are a couple of sketches made using the free trial version of Sketchbook Pro. These are also done with my fingers, both in Florida where the hubs and I had a nice relaxing week to ourselves in early December. Sketchbook Pro lets you to easily change brush size and tool choice (i.e. brush, airbrush, pencil). And with both programs, it’s easy to get just the color you want with the stroke of a finger. 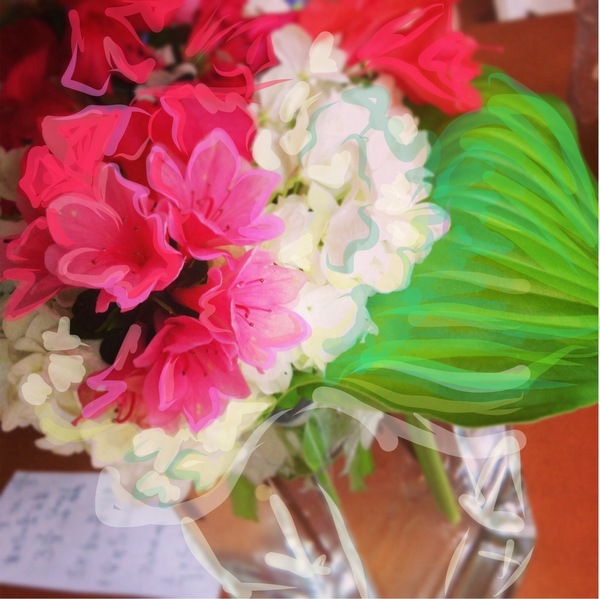 Sketchbook Pro lets you make colors more or less transparent, which makes for some cool effects. It takes a bit of getting used to, though, that the paint is so consistent. In other words, your “paint” doesn’t really blend with other colors, and it never runs out. The “paint” is most like watercolor, though unlike watercolor, you can undo your strokes as often as you like. You could easily get carried away with self-correction. I tried not to but used “undo” as an excuse to take risks I wouldn’t have taken with real watercolors. I think that’s one of the greatest strengths of all of the art apps I’ve tried—the ability to try new things with no risk, and to make a picture quickly without getting out and putting away all of your materials. Using your finger to draw is a little clunky. These three were all done before I got my Sensu Brush/ Stylus, and now that I have it, I’ll probably skip finger drawing. I enjoyed both of these apps, but I found myself wanting more features and more detail. I decided it was time to try the apps with pricetags. More about app art to come. 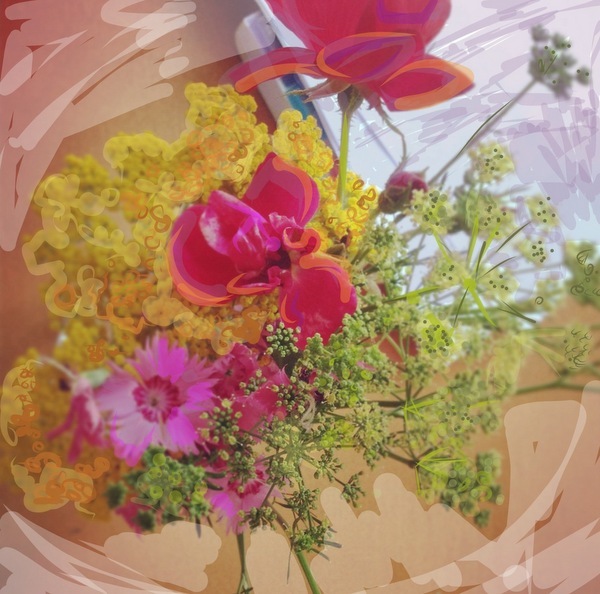 If you make art on your mobile device, what do you do with the images? David Hockney prefers to let his iPad work live only in the digital world, but I think it could be reproduced a number of ways. What do you think? Have you tried producing a “real” version of your digital images? I’d love to hear how it’s gone. All photos and text on this blog are the property of Emily Smith Pearce. Feel free to link away, but please do not use any photos or content elsewhere without my permission. 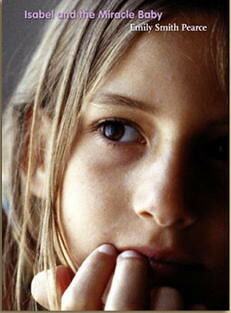 E-mail me if you have questions at emily (at) emilysmithpearce (dot) com. Thanks!